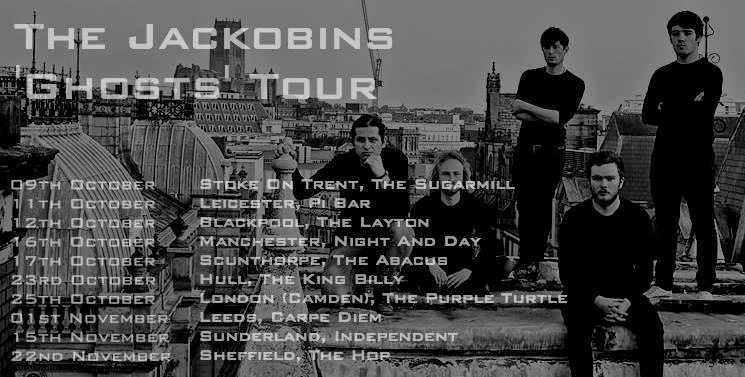 WE last featured The Jackobins at a time when a new release was in the pipeline and the idea of a tour was just a dream. Now The Music Manual can reveal that these lads have been rapidly building an extensive empire for themselves within underground music. Brand new EP, Ghosts pays respect to their old sound whilst pushing forward with the new. This second release proves definite determination to achieve the national recognition that this band deserves. With two new editions to the line-up earlier on this year, the sound has matured greatly, allowing a broader aspect of creativity spread evenly amongst each member. 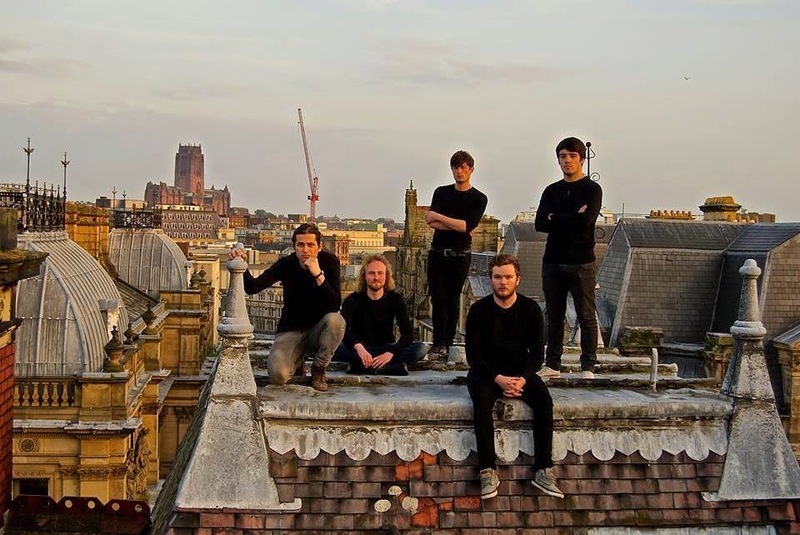 Flavouring each track by subtlety tossing individual influences under the radar of their devoted listeners. The Otherside is the first animated track upon the EP, with sticky guitar riffs and a beat basking in a joyous pandemonium. Continuous prangs encapsulate audiences as we become sucked into this world of inescapable jubilance. A soulful vocality wraps itself around the uncontrollable instrumental pushing a positive sound so refreshing compared to the current fashion of moody music. Track two, She Always Says, carries on a carefree vibe, swamping audiences with great pride and happiness. There is no way that you could possibly feel down when listening to such a track, making it excruciatingly hard to dislike the quintet for their effortless ability to carry out such positivity within their work. Title track 'Ghosts' has a haunting key, gradually built up by a hushed beat, the pending entrapment has a hook so enchantingly harmonious. Anthemic vocals matched with weighty chorus' are unafraid of becoming a perfect concoction for a film soundtrack. Sprinkling a minor nod to 90's underground Americana, we now feel a greater commercialism surrounding the band. Final track Prussia begins with a full throttle rock riff, ripping a hefty beat from the foundations. From the very start we veer into Kasabian territory, a brave and bold statement from any band, yet a incredibly intelligent one, if paid off. Mind curdling thumps and screeching guitars line the pathway for lead vocalist, Dominic Bassnett to sing his socially infected lines, spiting a lulling vocal with local twangs flowing from one note to the next. With the right balance of fury, sound and passion, this EP is the true depiction of the world of the Jackobins.